Chelsea and Arsenal are reportedly both lining up January bids for wantaway Real Madrid midfielder Isco. The 26-year-old is yet to start a league game under new manager Santiago Solari, having slipped down the pecking order since the departure of Julen Lopetegui in October. 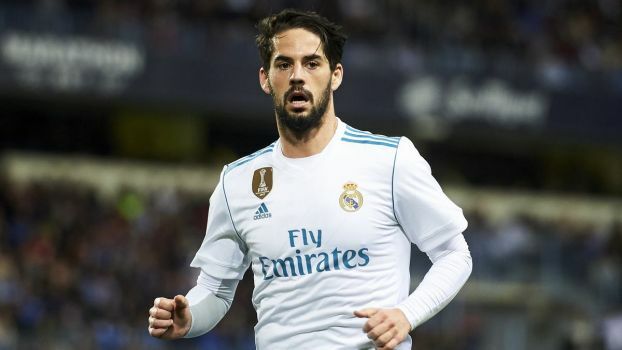 Isco is understood to be increasingly keen to leave the Bernabeu in search of more regular first-team football elsewhere, while he is also rumoured to have fallen out with Solari behind the scenes at Madrid. The Mirror reports that Premier League duo Chelsea and Arsenal have both placed Isco high on their list of transfer targets when the window reopens next month. Arsenal are hopeful that they will have the advantage in negotiations given that Isco and Unai Emery have previously worked together at Valencia, although Chelsea are planning to rival their London rivals for his signature. The Spain international still has more three years remaining on his contract and has also been linked with the likes of Tottenham Hotspur and Manchester City.